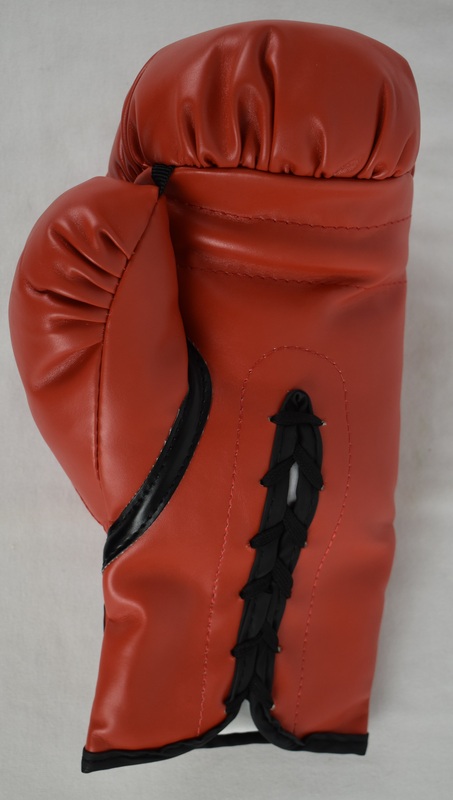 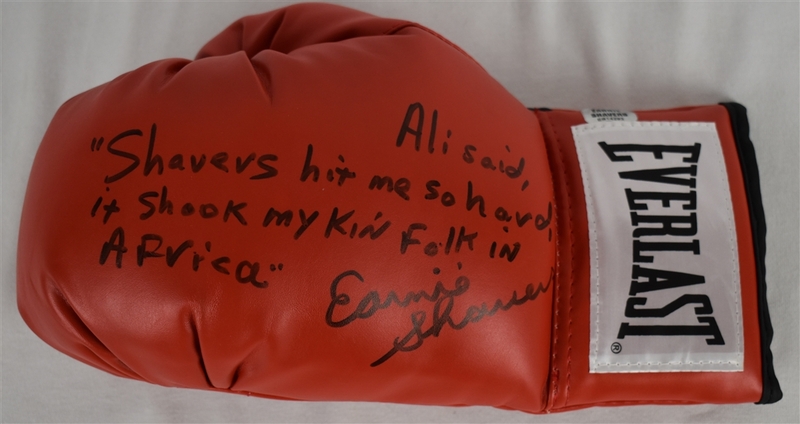 This uniquely signed red boxing glove has been signed and inscribed by Ernie Shavers in black marker: "Ali said 'Shavers hit me so hard it shook my kin folk in Africa' Ernie Shavers". 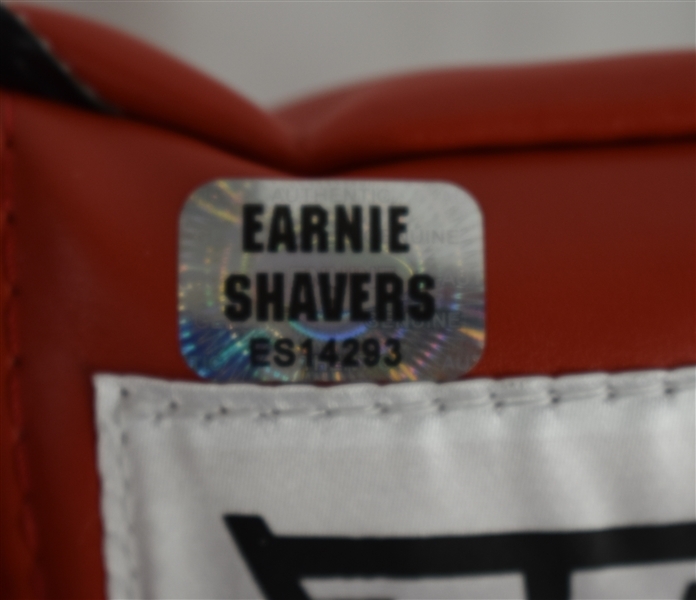 Shavers boxed from 1969 to 1995, and challenged twice for the world heavyweight title in 1977 and 1979. He is considered by many boxing experts to be the hardest puncher of all time, holding a 91.8% knockout-to-win ratio, and having knocked out 50 opponents in three rounds or less; 24 in the first round.